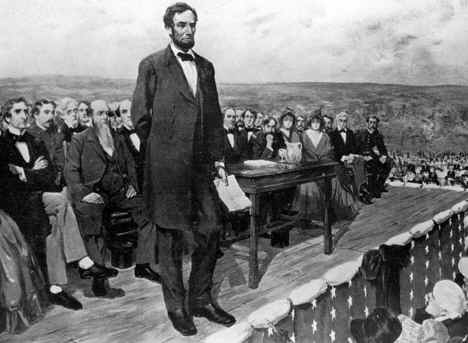 Abraham Lincoln delivered his Gettysburg Address 150 years ago Tuesday, a speech that continues to echo through America to this day. Lincoln made his short address on Nov. 19, 1863 at the dedication of Soldiers’ National Cemetery, where the dead from the Battle of Gettysburg were laid to rest. Read a commentary on Lincoln’s address here.